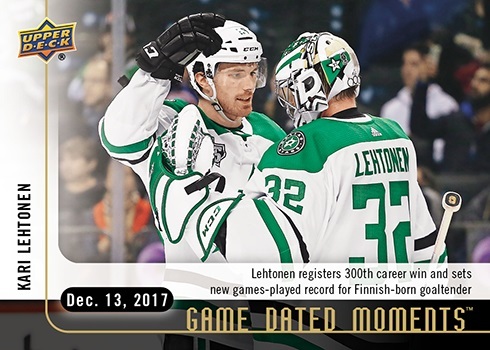 New 2017-18 Game Dated Moments Packs for Week 11 are Now Available on e-Pack! 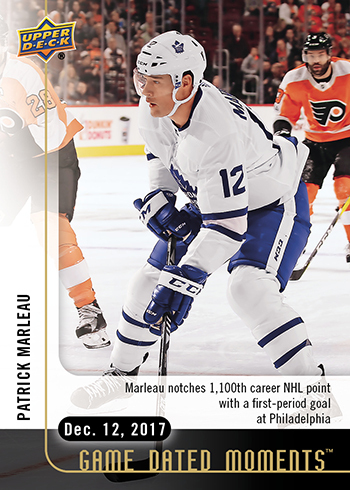 Long tenured veteran Marleau nets his 1,100th point on a quick first-period goal against the Flyers to become the 60th player to reach that milestone. 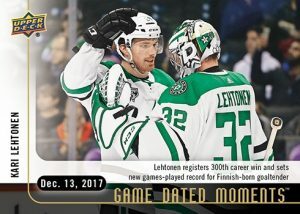 Stars net-minder Lehtonen records 32 saves and wins his 300th game with a 5-2 road victory against the Islanders, becoming only the 33rd NHL® goalie to ever reach that mark. 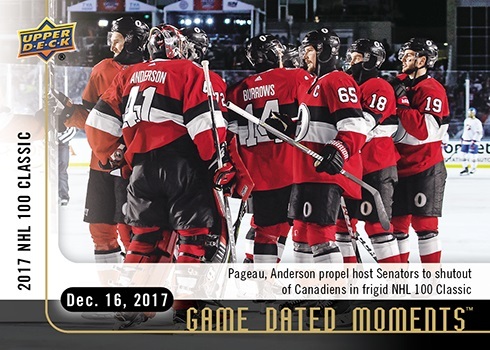 The weather may have been below freezing outside, but that didn’t stop Ottawa goalie, Craig Anderson, from maintaining the hot hand and making 28 saves in a 3-0 rout of the Canadiens. This Ottawa shutout win came almost 100 years to the date after the Habs walked away with a 7-4 victory when these two franchises met for the first time in the NHL’s® first ever game.